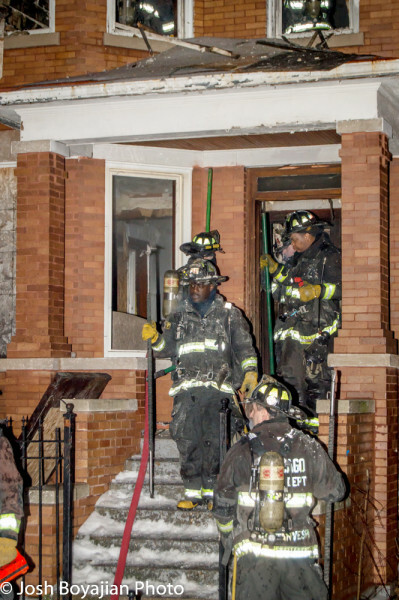 Tuesday night (12/29/15), around 9:30pm, the MFAO gave the 18th Battalion a working fire response to 1038 N Lawndale, which the MFAO Boxed prior to anyone’s arrival. 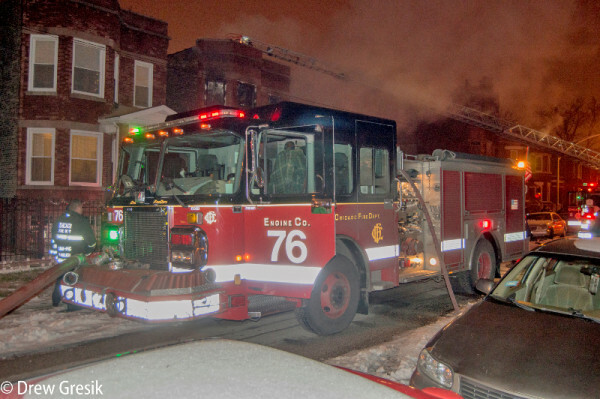 Engine 76 arrived with a fire on the 2nd floor of a 2-story brick. 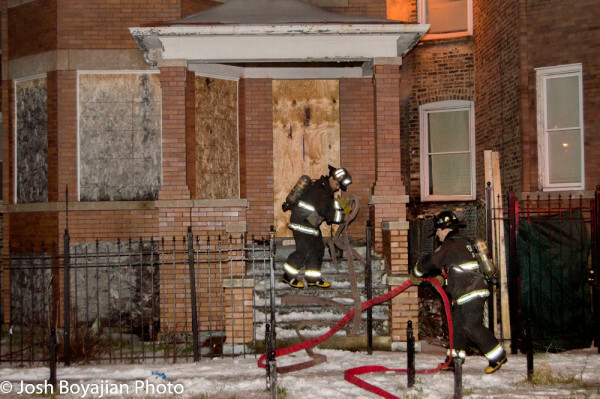 Companies had some access problems with the house being boarded up. 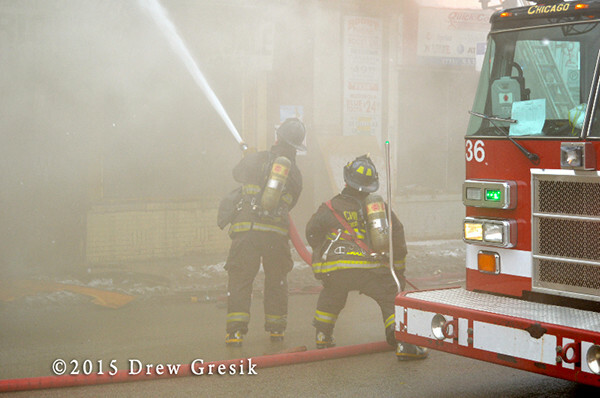 Engine 76 had two lines lead out and they made a quick knock on the fire. 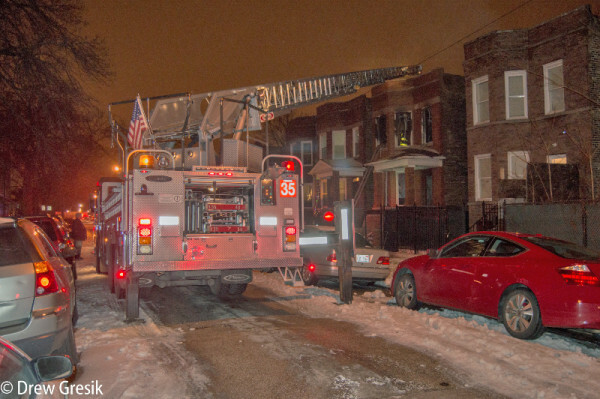 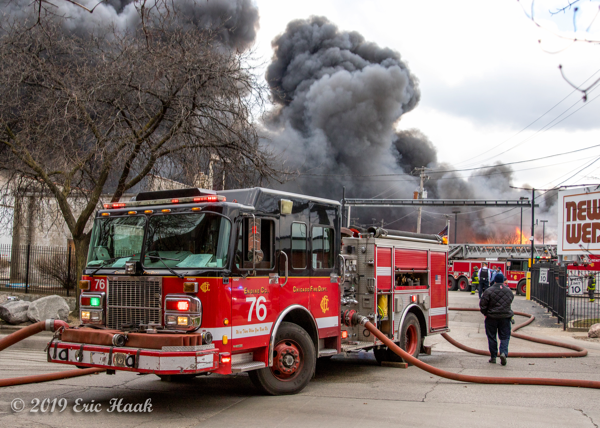 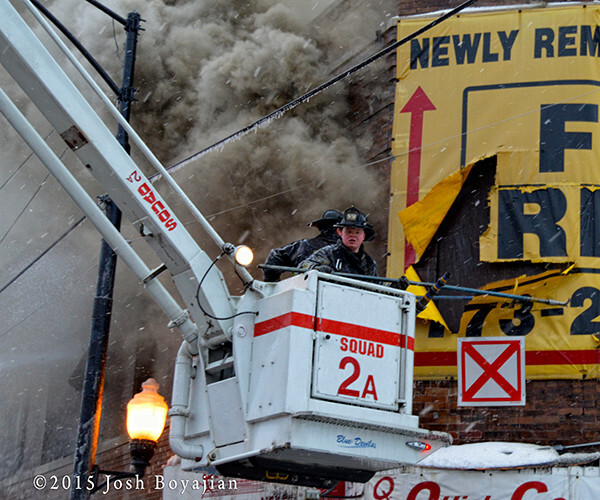 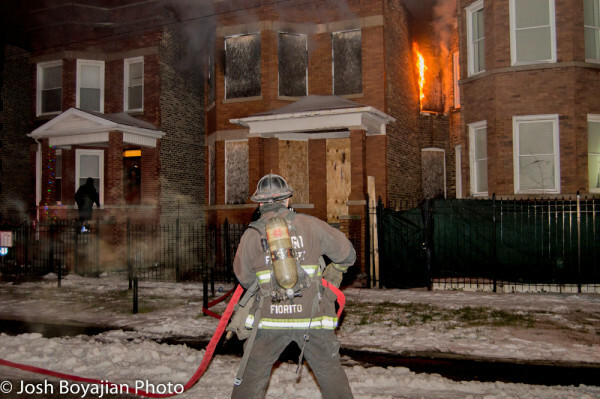 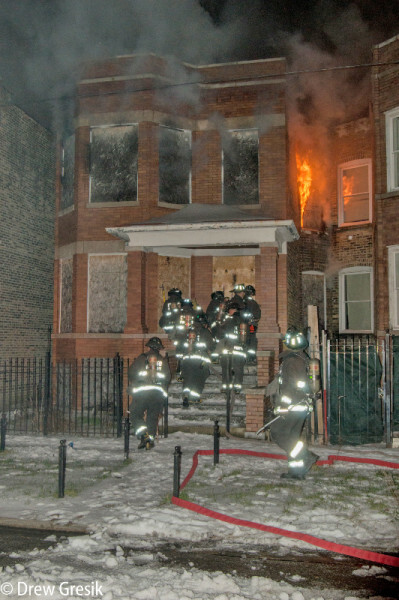 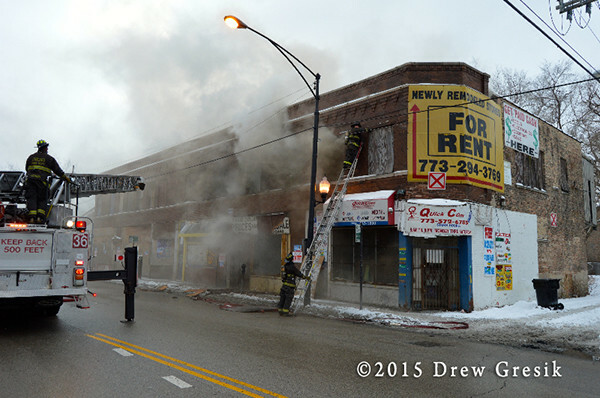 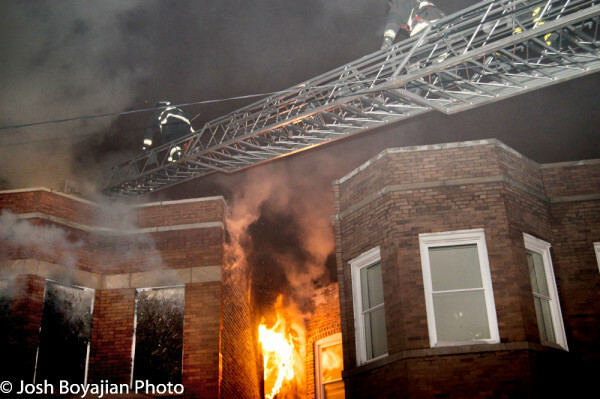 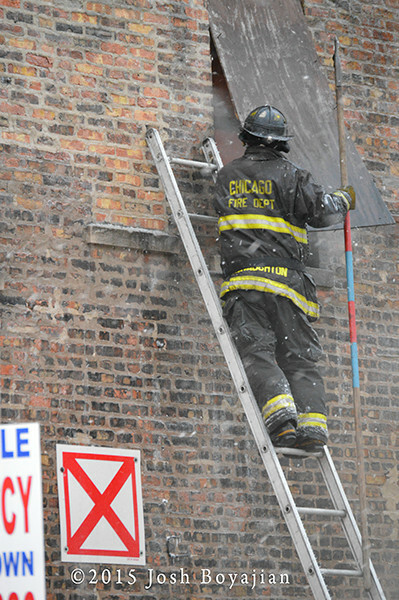 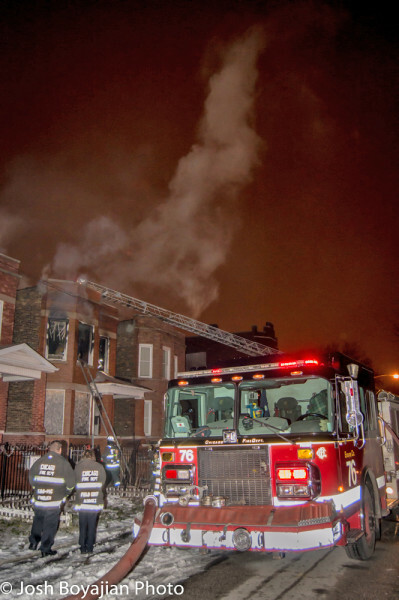 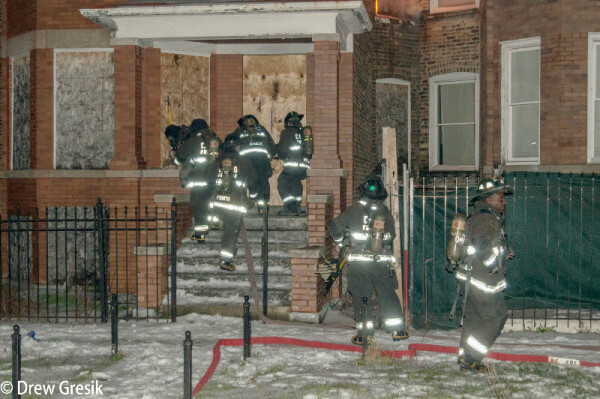 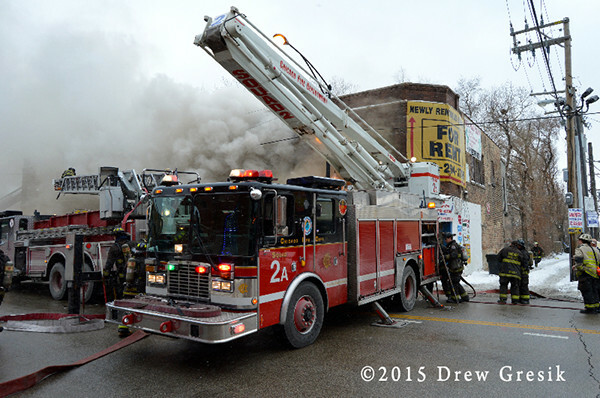 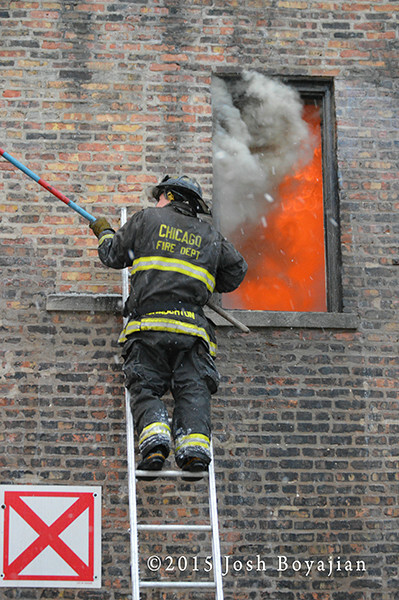 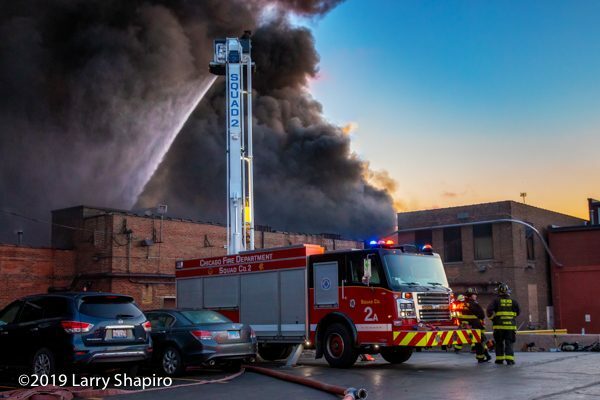 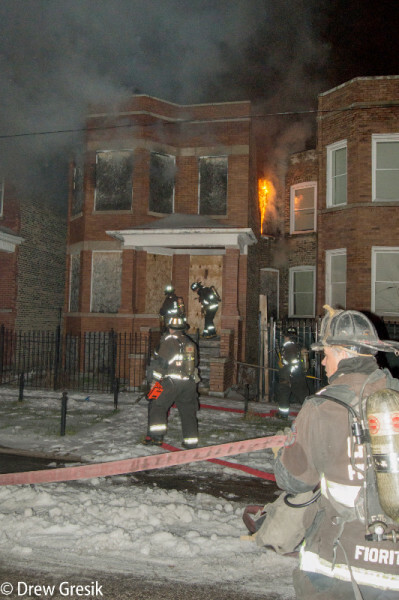 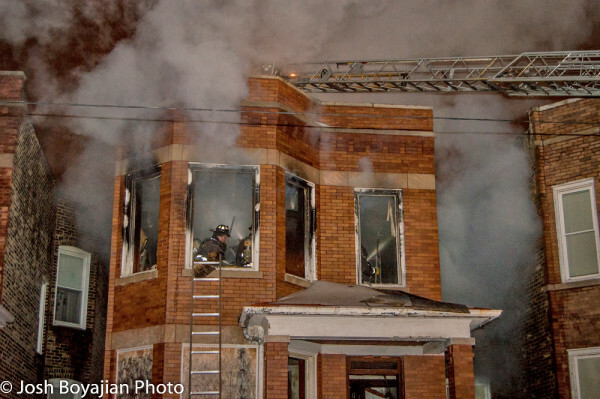 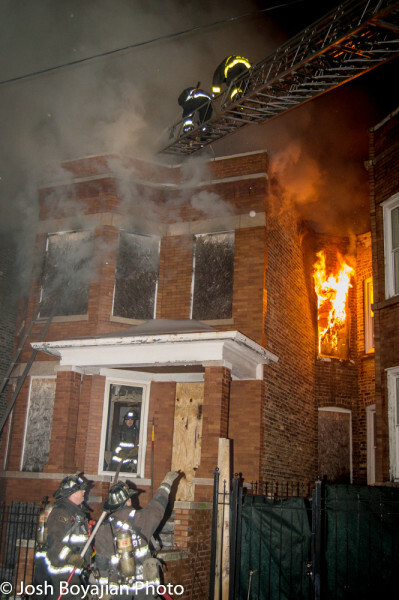 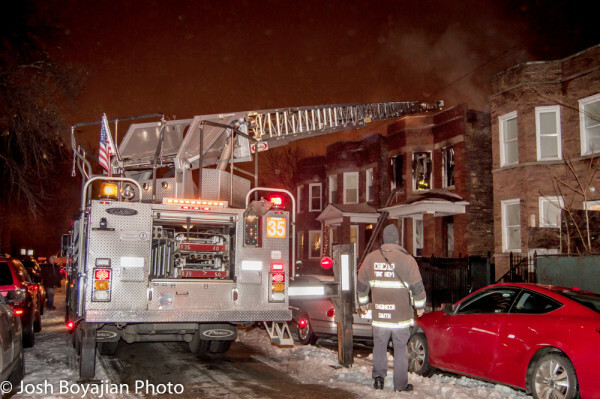 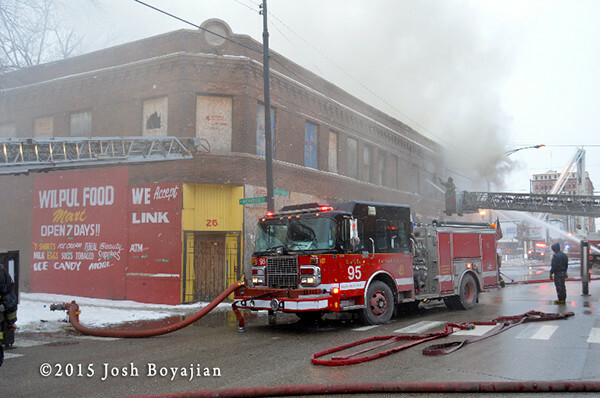 1/12/15- Around 1500 hours, Chicago’s 13th Battalion received a rundown for a working fire in a vacant Red-X structure at #26 S Pulaski. 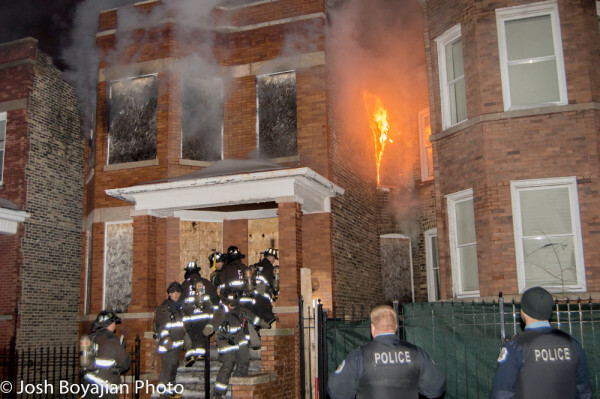 This 150×50, 2story ordinary, apartments over storefronts has been vacant for some years, and the structure was very suspect. 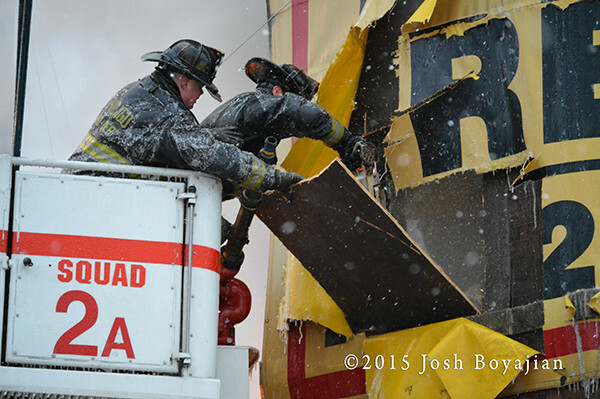 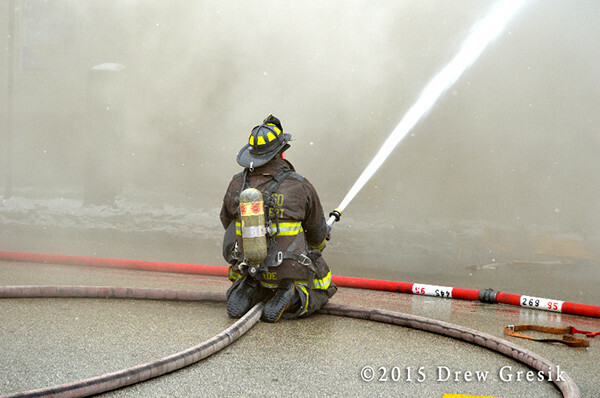 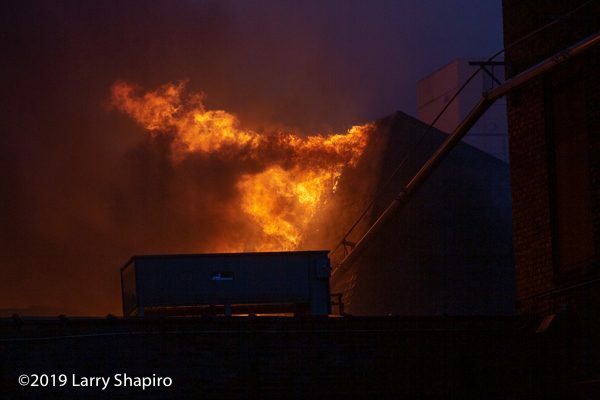 As per Red-X protocol, crews stayed out of the building and dumped water from an exterior attack. 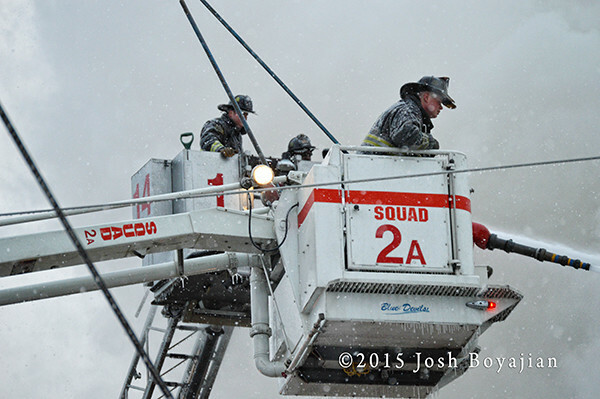 Tower 14 and Snorkel Squad 2 worked elevated master streams. 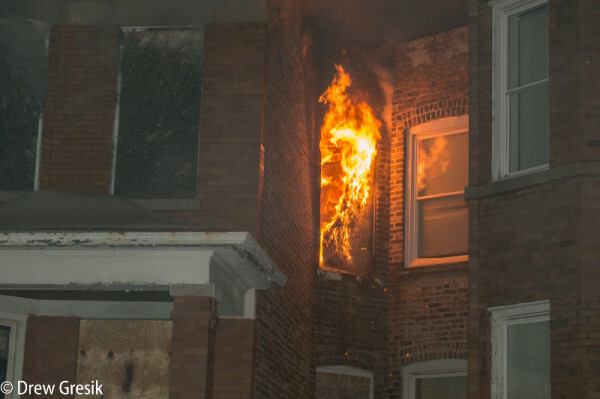 Four hand lines were stretched; two on Side A, one on Side C, and one on Side D. Engines 95, 38, 44, and 76 pumped at this fire. 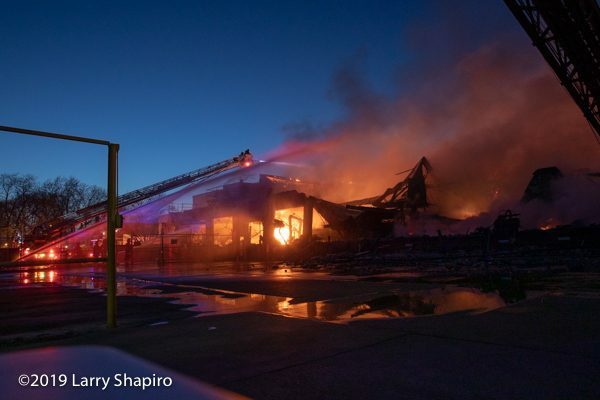 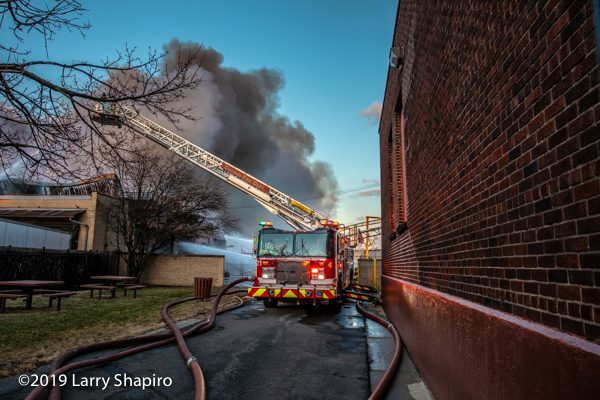 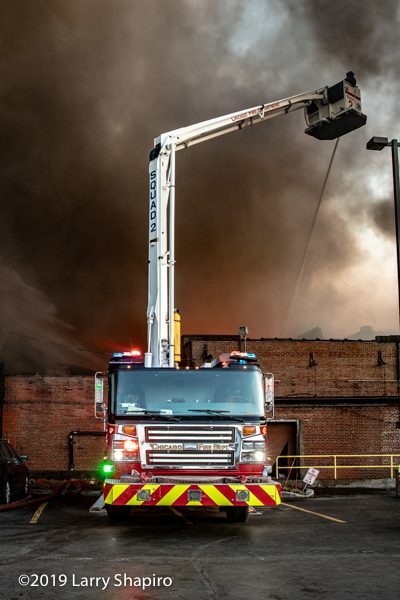 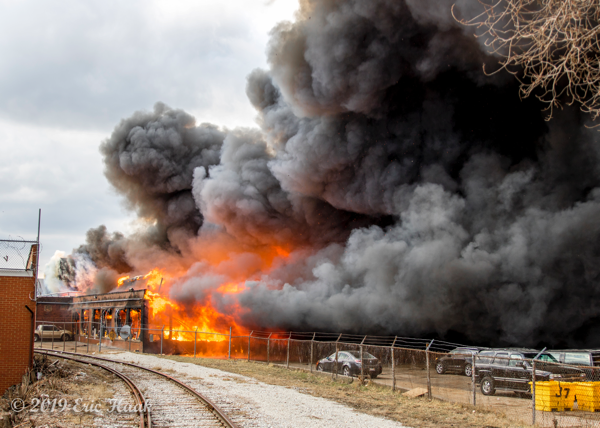 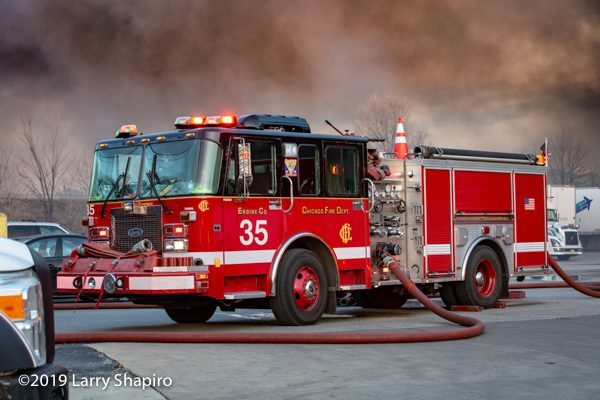 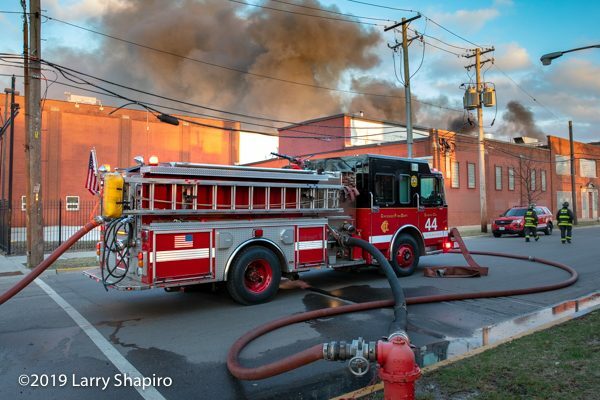 Companies on the Still & subsequent Working Fire were: E95 E38 T36 T48 BN13 BN12 (Safety) RIT BN14 T29 Sq 2 2-7-1 EMS 4-5-4 A23 A52. 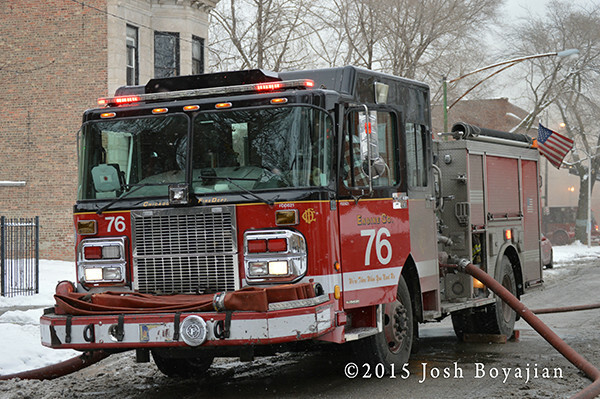 On the Still & Box: E44 E76 TL14 BN7 BN4 2-2-1 A10 4-6-6 4-6-8.